Feelings about the Olive Garden -- "Honestly, it's like my second family. I love it here. I dream about this job." "So," I ask, "were the other employees jealous when you told them you were going to go out with me?" "They said not to do it. They think you're a serial killer." I don't know what I expected, but it wasn't that. "Why?!" "You're here every day, you bring a new woman every time, and they never come back. Where do they go?!" I've never met anyone who exemplifies the 90's-era slogan of Olive Garden ("When you're here, you're family") quite like Alycia. Extraordinarily friendly, upbeat, and charming, she's a natural-born hostess who improved every one of the nights I saw her. I was thrilled when she accepted my invitation to be one of my final Olive Garden dates. Most of my dates last about an hour, sometimes an hour and a half if refills are ordered. Dinner with Alycia was two and a half hours long - she's so easy to talk to that one completely loses track of time. I'm sure that she'll go on to have a very happy and fulfilling life! 4 more dates to go. 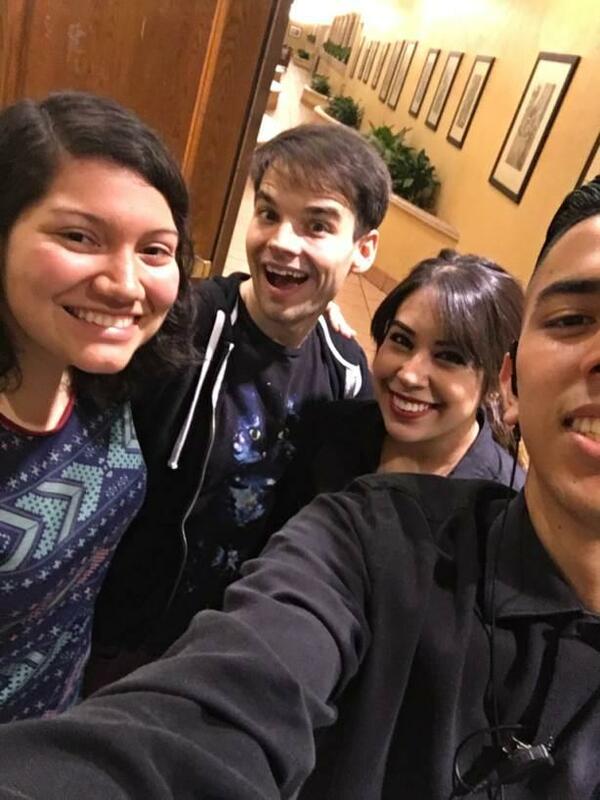 I also had to ask for a selfie with a few other treasured members of the Santa Ana mall Olive Garden's staff - our server, Lindsey, and our host, Bryan. 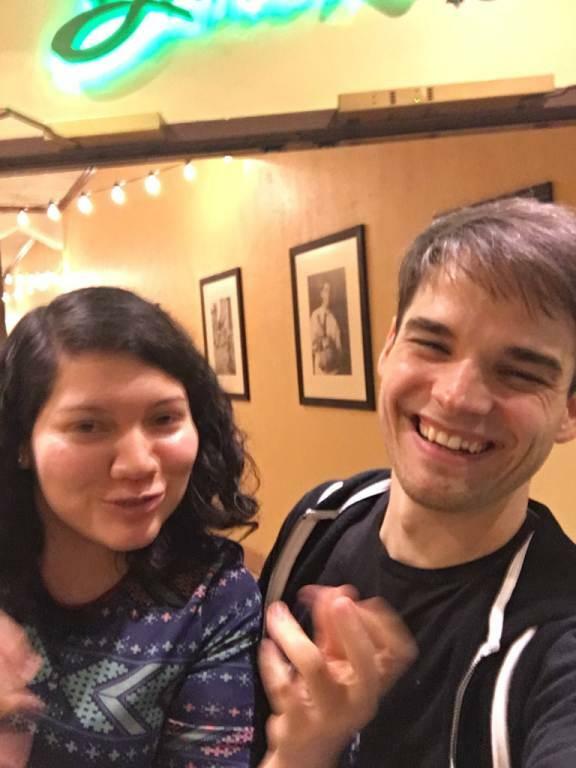 They, along with Alycia, all deserve recognition for their contributions to Olive Garden's reputation. Whatever these folks are paid, it's not enough!